It’s sometimes possible to lease a car when you have poor credit, but you’ll typically be facing higher interest rates, stricter qualifications, and fewer vehicle choices. There’s a lot of enticing advertising out there that draws consumers into their local dealerships. Once there, the bad credit car buyer often walks away disappointed because they’re unable to qualify for the deals they expected. The best way to combat being turned away as a lessee is to know where you stand. Most subprime consumers need to seek special finance dealers that can work with their situation. When it comes to leasing, knowing your credit score, preparing a budget, and having a substantial down payment will all help. Multiple security deposits – In leasing, it’s expected that a lessee pays the first month's payment plus title and license fees upfront. When leasing with poor credit, you may be required to pay an additional security deposit. The more money you can present up front, the better. 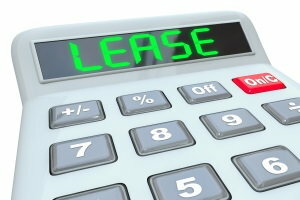 A higher than average interest rate – Lease deals only run for a certain number of months, typically starting at 36. When a lessee has lower than average credit, a dealer can usually only qualify them at a higher interest rate, but this varies by lender. Proof of residency – a current utility bill in your name, for your current residence. Proof of income – your most recent pay stub showing year-to-date income. Personal references – six to eight personal references complete with names, addresses, and phone numbers. 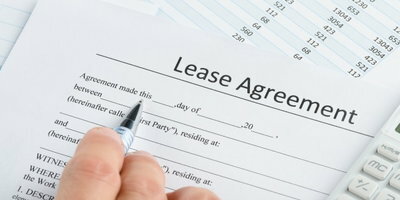 The type of lease deals you might be able to qualify for also depends on your credit. People with higher credit scores (720 and above) typically get the best deals and have an easier time qualifying. However, there are dealers and lenders that can work with people who are struggling with their credit (600 to 680), but the lower your credit, the more difficult it'll be. If your credit is too low (below 600) you may not be able to qualify at all. If you fall into the “too low” category, there’s still hope for getting a vehicle. Just because you can’t lease right now, doesn’t mean you’ll never be able to – it’ll just take some work to get there. An alternative is to opt for a subprime auto loan. 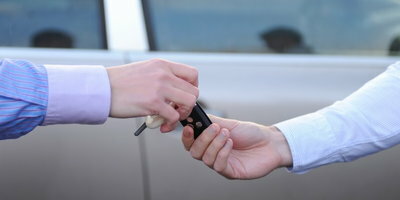 Not only will this get you the vehicle you need, it’ll help you improve your credit as well. Each on-time payment gives you the opportunity to build a solid payment history, which is one of the major pieces to your credit score. If you need to know where to turn for a special finance dealer that can help you get financing as you work through your credit challenges, Auto Credit Express wants to help. We work with a nationwide network of dealers that have the lending resources available to get you the financing you need. Let us guide you toward a local dealer, it’s simple to get started by filling out or free online auto loan request form. What Does My Credit Score Need to Be in Order to Lease?